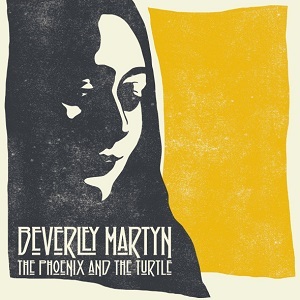 Beverley Martyn started her musical career in 1963 with the Jug band The Levee Breakers, and recorded her first single with them in 1965. A year later she released her first solo single on the newly formed Deram records label. Since then she's worked with artists including Simon and Garfunkel, Jimmy Page, Ralph McTell and Sandy Denny, as well as recording two albums with her husband John Martyn. This new album features songs from right across her career - "Sweet Joy" is the first song she wrote, other songs are from her time with The Levee Breakers, and one was written with Nick Drake in 1974 but only finished by Beverley some time after his death. The album was recorded by Beverley and her guitarist/producer Mark Pavey in Wales, and also features Matt Malley on bass (ex Counting crows) and Victor Bisetti on drums (ex Los Lobos), with the bass and drums being recorded in California. Listening to the album, it does remind me quite strongly of some Lou Reed material - "Pale Blue eyes" or "Candy says" for example - it's got a similarly soft slow pace and there's even some similarity in the vocals. The fact that it sounds just as good as these songs from Lou Reed says a lot about how good this album is. It's certainly not what I'd expected when I hit play for the first time, but I have to say that this really is an excellent album. The songs are well written with a real personal feel to them and the music is beautifully played - at times it's quite prominent and gets your attention (check out "Levee breaks" as a good example of this) while at other times it takes a step back and the focus then is on the vocals. Beverley Martyn's voice is one it took me a little while before it really grew on me. After a listen or two though I definitely like it - it's the sort of voice that carries plenty of feeling. A beautiful album thats definitely well worth a listen. "The phoenix and the turtle" will be released on 22nd April 2014.